It gives me enormous pleasure to announce that, yes, once again, I am embarking on the writing of an official Elite Dangerous novel. In fact, it’s not “An official Elite Dangerous novel”, it is “The official Elite Dangerous novel.” – a little more on that later. The book will be called Elite Dangerous: Premonition and it is planned to be available in mid 2017. So is it a sequel to Reclamation? 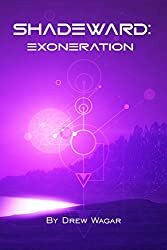 Premonition will definitely follow on from Reclamation, so if you haven’t read the earlier story you’ll be missing out on the background to some of the characters and the mysteries that will unravel. Characters from Reclamation will reprise their roles. You will not be surprised to find that Lady Kahina will make a return alongside some of the other characters from Reclamation. However this is going to be a rather bigger story and no longer concerns just the Prism system. This will be a galaxy-spanning epic. I’ve had the opportunity to work much more closely with Frontier Developments on aspects of the story this time around and will continue to do so throughout the novel’s creation. We’re trying something that’s not been done before; writing a story which will evolve and morph depending on what happens in the game. First and foremost, the book will be far more intrinsically linked to the game than before. This time, the book won’t be a ‘point in time’ or a story tangentially linked to Elite Dangerous – it will be ‘the story’. What Frontier have asked me to write is the ‘behind the scenes’ view of what is happening in-game and I’ll be writing it as it happens. All those disparate story-line threads you’ve seen: Halsey, Artefacts, Probes, Barnacles, Permit locks, The Rift, Imperial politics, Federal machinations, the secretiveness of the Alliance and those ‘Shadowy Figures’ – yes, they’re all connected and this will explain how – in a way that just can’t be done in depth in-game. I’ll be able to incorporate player activities. 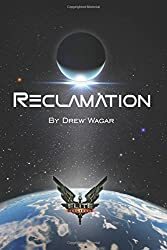 Elite Dangerous wasn’t available when I wrote Reclamation. Now things are very different. As part of the story, there are various points along the way where players will affect the narrative via CGs, in-game events and players just doing their own thing in response to those events. Your collective actions in the game over the next few months will genuinely have an impact on what I end up writing. As part of that I’ve been allowed to see what has been planned and contribute some of my own ideas into the game via Galnet, CGs and so on. I’ve been working with the Elite Dangerous developers to bring alive various points in the story, adding additional content, which will allow you to take part in that story, and be mentioned as a result for your contribution. I need you to solve some of the mysteries out there so I can write down that part of the adventure! Notable Commanders and groups will be immortalised as a result. We’ll get to see some of the more interesting locations in the Elite Dangerous universe, places I deliberately avoided first time around: The Achenar Capitol, the Sol System, and yes, even the worlds of the Alliance, Alioth in-particular. In-game individuals such as Senator Patreus, Princess Aisling, Edmund Mahon and President Hudson will have their parts to play in this tale. This allows me to flesh out their characters and add some background to their personalities, something I perceived as a bit of a gap. Now you’re really going to find out what they’re like. We all know that ‘Winter is coming’. Tensions are rising across the core worlds and the distant Pleiades star-cluster. Strange things are happening in the depths of space. This book will be a record of a most dramatic time in the history of Elite, that I can assure you! The book will be set in tandem with events in the game that are currently taking place, thus covering the events of this year and next. 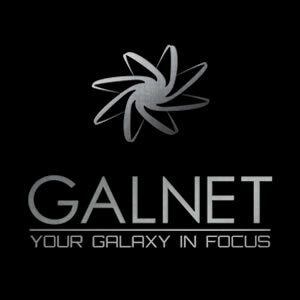 You will have already seen aspects of the story unfolding via Galnet and in-game events. There is much more to come and there are many intertwined threads. Naturally, as Reclamation was before it, Premonition will be an expansive space operatic adventure with a mix of space battles, conflict, drama, tension and political shenanigans – I’m sure that you would expect nothing less from me. Yet, it will also be looking to the future of Elite Dangerous, taking into account the Horizons expansion, including the Engineers and the upcoming releases, rather than being mired in the historical past. What do you mean by ‘The’ Official Elite: Dangerous Novel? I’ve been working closely with FD. Fortunately for my nerves, it wasn’t necessary to have a Kickstarter this time. Based upon the reception of my previous book, Reclamation, Frontier Developments approached me with what they were looking for. It’s fair to say we have been scheming together for quite some time and we have a rather more sophisticated arrangement for this book. 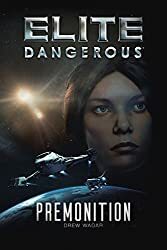 To be precise, Elite Dangerous: Premonition is going to be directly published by Frontier Developments themselves, rather than by a 3rd party as before, allowing them to take a direct stake in how the book evolves, how it is marketed and where it is sold. It will be their product, sold alongside the game. We’re all signed up and ready to go. More I can’t reveal as the story is strictly limited by NDA as you might expect. We anticipate the book being available sometime late Spring, early Summer 2017. For now, I have to get my head down and start writing. 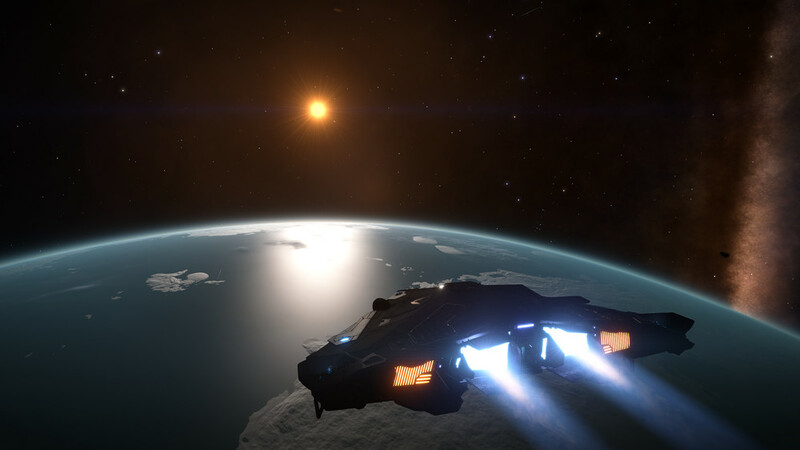 As with Reclamation, I plan to keep you updated throughout with progress here on my blog, giving you as much of an insight as I can into the process of writing the next Elite Dangerous novel. It’s finally time to write on, Commanders! I’ll post regularly to Reddit and the Frontier forums too, please fell free to drop questions and comments via any of these routes, I’ll do my best to answer them! Congratulations Drew! A very very well deserved honour. Fantastic news Drew! Writer McWriteyFace returns!!! He he… and hopefully another podcast sometime soon! Well done Drew… Aisling eh? Yes… she’s going to be interesting to write for. Fantastic news! THE Elite: Dangerous novel huh? I’m really rather proud of you dear author. Congrats Drew! Definitely well-deserved after all the effort you have put into hounding FDev about the need for consistent and ongoing story and lore, err, I mean, put into story and lore in-game to date. Really looking forward to this! That is awesome news! Can’t wait! Thats really awesome, Drew! Congrats. Finally there will be more story in the game. Can’t wait to order the book. We can do stuff in a book you can’t easily do in game. But a blend of the two should make for an interesting outcome! Brilliant, read ask your elite books, just wondering if I should read Reclimation again? Ready looking forward to it. Reclamation will re-introduce you to the background, but this story starts around April 3302. In your word count: you mean 11/8/2015 not 2015 right? Good luck! I can’t wait to see how it turns out. I’m a-quiver with anticipation, Drew. I think what scares me the most is how closely my interpretations of the key characters (of which you have generously given the once over on that little sneak peek document), will match up to Premonition. I definitely formed distinct ideas about the secret backstories and behind-the-scenes plotting of all the Power leaders, and I think did a lot of people who’ve got into the lore and the story, and it’s nerve-wracking to see how close my guesses were. I imagine it’ll be a challenge knitting things together, particularly player generate content so that it doesn’t feel too random or disconnected. Also as its Frontier’s book any thoughts on artwork/visuals in the book? Plenty of stunning vistas in game, would be nice to see some in print. Definitely a responsibility – especially with everyone watching even more closely this time! No idea on artwork at this stage, but FDev will be creating it. Congratulations Drew. This is awesome news! I have not been this excited since the Order of the Phoenix! Congratulations, Drew. An intricate and involved undertaking, I wish you every success with the project. Thanks T. James! I intend to ensure that your book and the previous Fantastic books are built upon as much as possible. Congratulations to both Drew and FD! Been a while in the making, but we’re there! 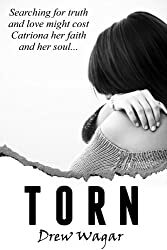 Very pleased for you in being able to write some more official fiction! One question: what page count will you be aiming for? But good luck with it, it must be amazing to literally hold the past, present and future of ED in your head! Reclamation has been a fuel for many of my exploration journeys in Elite Dangerous. It has taken away much of the monotony found cruising long distances between stars and planets in the systems I have explored. I am so glad to hear that the story will be continued. As for finding what’s down in the Rift, bear with us, sir. We’re going to find it. We may grumble, we may fly right past it over and over again, but we will find what’s out there, and we will give your work the recognition it deserves. I tip my hat to thee, sir. I’m more of a fan of the original Elite, and the Oolite remake. I’ve read Holdstock’s “Space Trader’s Flight Training Manual” and “The Dark Wheel”, as well as Smith’s “Virtuous Misfortune” and Redman’s “Imprint” times without number, as well as the “Alien Items” anthology, and many other related texts. I’m presently working my way towards a rereading of the Oolite Saga and, finally, “Altera” as well. However, now, with “*THE* official Elite Dangerous novel” in the works, I’ll be sure to start catching up on the latest developments in “ED:R” and then “ED:P” as well. I consider the background historical development of all these definitive texts just as engrossing and significant to the culture established by the original Elite concept, as the very details of the stories themselves contained within these texts. I am glad and humbled and thankful to have become aware of, and being able to follow the growth of this textual process to levels previously beyond conception. 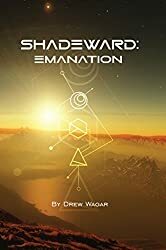 However, Mr. Wagar, I beg of you, please ensure proper proofreading and editing of “THE official Elite Dangerous novel” – *before* publication – so that the curse of the atrocious travesties that were the original Acornsoft and later publications will now, at last, be broken and lifted once and for all. …please show us how it can – and should – be done: properly. Thank you. You have my hope and trust. Hmm I just noticed my previous comment didn’t publish. Fantastic news, Drew — well done! Can’t wait to read it.